UAS Laboratories, Inc., “The Probiotic Company”, headquartered in Eden Prairie, Minnesota, is one of the latest additions to OK Kosher Certification’s legion of kosher certified companies. UAS specializes in production of probiotics and other supplements, including acidophilus, coenzyme Q-10, joint supplements, and more. UAS is a leading probiotic company, founded by Dr. S.K. Dash in 1979. Dr. Dash served as director of the Food & Drug Administration for South Dakota in the 1970s and became interested in probiotics during his tenure there. His research showed that probiotics were effective in treating many different conditions and decided to start his own company to develop probiotics using super strain L-acidophilus DDS-1. UAS introduced quality control standards to the probiotics industry and spearheaded the National Probiotics Products committee. To continue its history of excellence and high quality, UAS is now kosher certified by OK Kosher Certification, the leader in high kosher standards and high technology. Established in 1935, the OK certifies over 300,000 products on six continents. Its highly acclaimed DigitalKosher portal allows for digital submission and tracking of all OK-certified ingredients and products, ensuring the highest level of kosher compliance and customer ease-of-use. 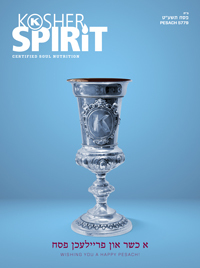 The OK prides itself on its commitment to upholding kosher standards without compromise, while educating and providing superior customer service to its kosher certified clients. UAS, like the OK, is a high-tech company, combining innovation with the highest standards of quality and oversight. Kosher certification under the OK provides UAS with a great opportunity to reach an ever-growing market of kosher consumers and continue to provide high quality dietary supplements to a global market. For more information on UAS Laboratories, Inc. please visit www.uaslabs.com.